How We Test Tumble Dryers - Which? Find out how Which? tests tumble dryers to uncover the very best models, and to warn you about the ones that will leave you frustrated. You can't tell in the shops which tumble dryers offer quick, quiet, energy efficient drying - and that is where Which? comes in. We tumble dry more than 1,200kg of clothes over a year to find the best tumble dryers that excel in all these key areas. Watch our video above to see why a Best Buy tumble dryer will make a real, practical difference. How long will it take to dry my clothes? 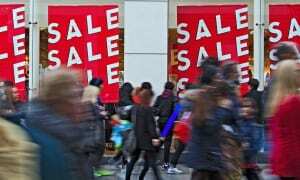 How much will it cost to run each year? Will it actually dry my clothes? Will my clothes be evenly dried and not creased? Will a condenser dryer trap steam inside as it should? How easy to use will it be? We tumble dry more than 1,200kg of clothes over a year to find the best tumble dryers that excel in all these key areas. 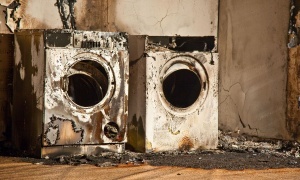 Find out with are the best and worst tumble dryers by visiting our tumble dryer reviews. The best tumble dryers need just 15 minutes to dry 1kg of laundry, and the worst will take 30 minutes. So that means the fastest dryers on the market will churn 6kg of wet laundry into dry clothing in an hour and a half; whereas the slowest dryers will take three hours - the time it takes to watch a Lord of the Rings film. We test two drying programs, giving a star rating to each to show how quickly they dry your clothes. We fill the drum to the tumble dryer's maximum capacity for synthetic laundry and measure how long it takes for the clothes to be dry enough to put away in a cupboard. Cotton cupboard dry (70% load)* The cotton clothes that come out of the drum should be dry enough to put straight into the cupboard. 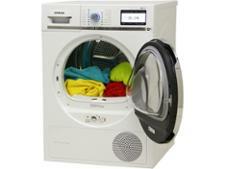 We load the dryer with the kind of clothes you would dry at home, such as jeans and towels. Synthetics/Easy-care cupboard dry (program capacity) The maximum capacity for drying synthetic clothing (man-made fibres such as polyester) is typically about half the amount of cottons you can dry. 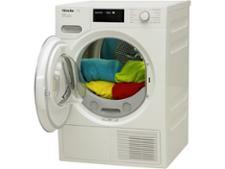 Most 7kg capacity dryers, for example, will let you dry either 3kg or 3.5kg of synthetic clothing in one go. The load is made up of polyester, poly-cotton and some cotton items. And we use real clothes in our tests. *As of 2013, we started filling the drum to 70% of the dryer's full capacity, rather than 100% and we have continued with this in our current 2018 test programme. This simulates how people use their dryers at home, but means that dryers tested in 2012 and before are not directly comparable to those tested under the current programme. We test how much energy each tumble dryer uses so we can guide you to the models that are cheapest to run. The star rating we award for energy use looks at how much energy is expelled by each of the four programs listed above. Separately, we estimate how much a dryer will cost you to run each year. The most efficient dryers will cost around £23 to run a year, the least efficient will cost you more than £140. The running cost is based on drying three cotton cupboard-dry loads a week, for a year. As we have moved to 70% capacity loads and we've changed the composition of the loads we use, running costs for machines tested from 2018 onwards aren't comparable with machines tested before this time. For products that successfully marry Best Buy performance with superb energy efficiency in our in-depth tests, we make a Which? Energy Saver. Our Energy Saver award is only given to Best Buy tumble dryers that fall within the top 20% of the most energy-efficiency dryers on the market. The Which? Energy Saver logo is a Which? rating and is not in any way endorsed or associated with official EC labelling laws or regulations. You'd think that all tumble dryers would excel at drying - but that's not the case. Our tests have shown that lots of dryers fail to dry a load evenly, leaving you with some soggy surprises lurking in an otherwise crisp batch of laundry. Other dryers can take hours to finish a load that should take just a fraction of that time. This is why we test dryness and award a star rating to it in our full tumble dryer reviews. Determining when clothes are ‘dry’ involves weighing them to see how much water they contain before and after the program. We do this three times for each of our four test loads. Automatic dryers that use a sensor to determine when your clothes are dry are especially susceptible to falling foul of this rating. A bad sensor may stop the drum when the clothes are still damp and need more drying - or alternatively it might over-dry the clothes. Over-drying means the program could be on longer than it should be, adding more to your energy bills and increasing the risk of clothes being damaged. We added a star rating for dryness of clothes to our reviews in 2013. Clothes taken out of the drum at the end of a cycle should be evenly dry or damp - so no sopping wet shirts and crispy socks sharing the same drum. We weigh individual items of clothing after the cotton drying programme to determine how evenly the load has dried and award a star rating for evenness of drying. When it comes to creases, we study shirts after the synthetic program, grading the creases on the back of the shirt and the button line. For all machines tested since 2013, if a machines gets four stars from us for creasing, it leaves about the same amount of creases as if you'd just taken a garment out of the washing machine and left it to dry naturally. We rate the noise of the dryer at the noisiest part of the program. We consider how loud the sound of the motor is and also the noise made by tumbling laundry in the drum. If a machine gets three stars, you should be able to hold a conversation near the dryer but with raised voices. Will a condenser tumble dryer trap steam inside as it should? Condenser tumble dryers should trap all the moisture taken from your laundry in a water reservoir, or tank. The rest escapes as steam into your home, sometimes turning it into a bit of a sauna. The best machines trap up to 95% of the moisture from your clothes. The worst we've seen will only hold on to 45%, leaving most of the moisture to soak into your home. 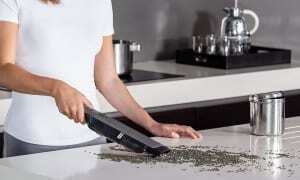 95%The best condenser dryers trap almost every bit of moisture removed from clothes in its water tank. 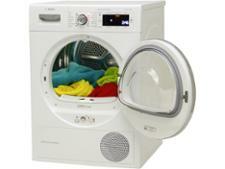 An easy-to-use tumble dryer will make your laundry days smoother and safer. Our usability tests include how easy the instructions are to follow, how clear the program markings are, how easy it is to fill and empty the machine, and how easy the lint filter, water reservoir and heat exchanger are to clean. Loading and unloading We look for dryers with a large door that requires little strength to open and close, using either a handle, push catch or press button, and which doesn’t swing shut during loading. Lint filters and water reservoirs These should be easy to reach from a standing and sitting position and require little force and simple actions to remove and replace. Control panel We look for buttons and dials that are clearly marked with self-explanatory captions nearby, are well spaced and have different shapes for different groups of functions. They should protrude from the instruction panel and be easy to grip, and require little force or one-handed and simple actions to activate. All the ratings and measurement for the tests above go into creating test scores that tell you whether a machine is worth buying. A good tumble dryer should get clothes dry in an acceptable time - and without sending your electricity bills through the roof. 68%The minimum score required for regular condenser dryers to be Best Buys. Vented dryers need to score 65% and energy efficient heat-pump condenser dryers need to score 72%. Condenser dryers like these should also do a good job of trapping the moisture removed from clothes in the water tank - and not letting it escape the machine as vapour, which may leave your kitchen or laundry room slick with condensation. Regular condenser and vented dryers need 65% in our tests to be a Best Buy tumble dryer. More energy efficient heat-pump condenser dryers need to score 70%.